In the 1880s, the lumber trade was booming in Wasaga Beach. The sandy soil meant the area was unsuitable for farming, but the abundance of trees made it perfect for logging. 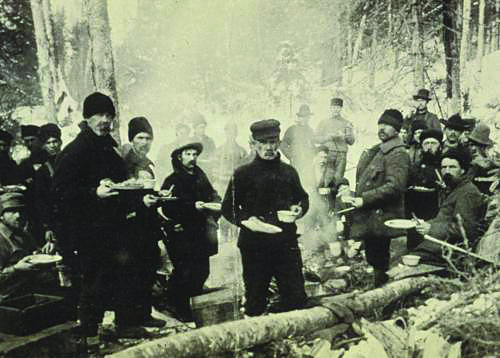 The timbers were transported down the Nottawasaga River to the lumber mills, and logging camps dotted the river’s edge. Soon, the area that came to be called Wasaga Beach was a thriving settlement thanks to the logging industry. But as the century came to an end, most of the larger trees had been removed and the logging dwindled. Today, instead of rugged woodsmen, Wasaga Beach attracts tourists of all types to enjoy the sun, sand and classic beach town vibe.